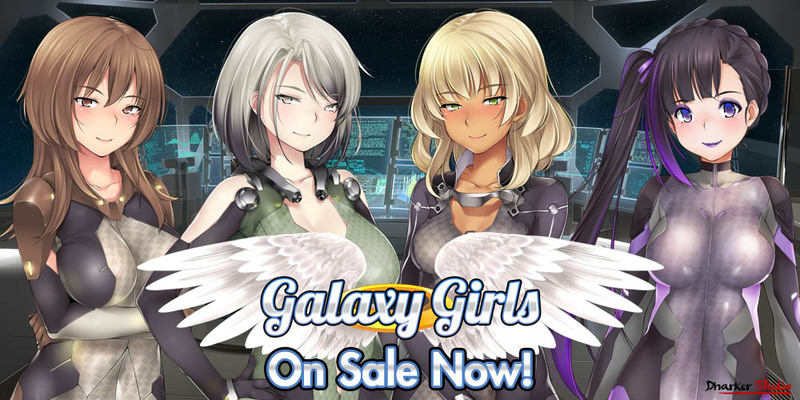 Galaxy Girls on sale now! Dharker Studio’s Galaxy Girls is now available on MangaGamer.com! Get the digital deluxe edition today from MangaGamer.com before other online retailers! One day you wake up on a spaceship, with several other women, each one given a different job on board ship: doctor, engineer and you as Captain. Can you complete the mission that has been forced upon you… and save humanity? Includes all Day 1 & Future DLC! Tagged Dhaker Studios, Galaxy Girls, scifi, yuri. « Thank You from Kalmia8!